While the rain lashed against the windows and the wind howled around them they snuggled down to watch all of the Harry Potter films, including the extras, back to back – fuelled by a supply of suitable provisions and libations. 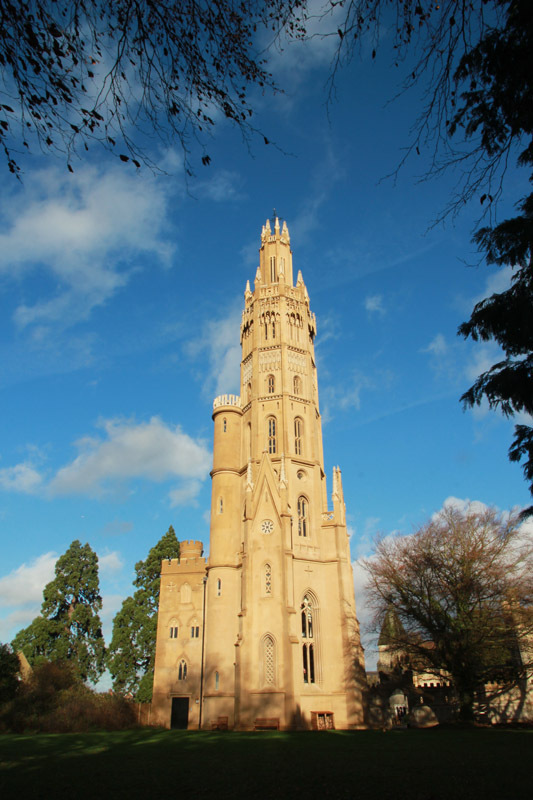 The Hadlow Tower (pictured above) has been recently restored at vast expense by the wonderful Vivat Trust. Tastefully furnished to a very high standard, it has all mod cons – including a lift – and is available for self catering holidays. It soars to a height of 175ft and was reputedly built in “Strawberry Gothic” style with intricate stonework so a jealous husband could spy on his estranged wife and lord it over snooty neighbours, who looked down on him socially. Plus Alessandro Alessandroni, revealed as the man who whistled his way through the spaghetti western soundtracks, taking tweeting to a whole new level. And Alex Holland who is the reigning Shed Of The Year champion thanks to his upturned boat conversion.